CoinConnect is here because of Bitcoin and for Bitcoin. Social networking is quickly becoming one of the most widely used forms of communication and we want to bring that level of success to Bitcoin and the great businesses and organizations that use it and promote it. It's time for Bitcoin to evolve to the next level and CoinConnect is here to help facilitate that growth. CoinConnect is the bridge between Bitcoin and the rest of the world. CoinConnect was created to not only showcase the Bitcoin community to the outside world but also to provide a familiar social utility for consumers to connect with Bitcoin businesses and each other. Social networking medium gives consumers, Bitcoin businesses and enthusiasts the chance to interact, participate and contribute. CoinConnect allows them to do all of this and more - in the Bitcoin world and provides a bridge connecting the Bitcoin community with the rest of the world. The first goal of CoinConnect is to be adopted by the Bitcoin community at a positive level. This is already happening - everyday new Bitcoin businesses and enthusiasts are registering accounts and setting up their profiles. To encourage this first goal we are hosting the inaugural year of the first ever Bitcoin Mining Rig Builders Competition. This is an event which we hope we will be able to continue each and every year as long as mining is continuing. We have four Bitcoin corporate sponsors outside of CoinConnct who are sponsoring the prizes of the competition. GuildMiners.com, SpendBitcoins.com, BitcoinBux.com & SheDoesLove.com all are enthusiastic Bitcoin businesses who see the potential of CoinConnect and have partnered up with us on this venture. The second goal of CoinConnect is to be operating at such a level where we can become profitable by selling advertising. 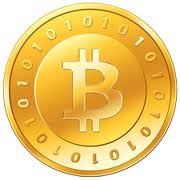 We truly believe that Bitcoin is still in it's infancy and we want to help take Bitcoin to the next level. Common social networking sites like Facebook(c) and Twitter(c) are boasting record profits and we feel that CoinConnect only needs to get a small piece of that pie in order to make big profits for our shareholders, and provide Bitcoin in general with that exposure it needs to get to that next level. For Bitcoin to grow we need to change the perception that the Bitcointalk.org forums are the heart and soul of Bitcoin. This perception holds Bitcoin back and the Bitcoin community needs to grow beyond this forum. The decentralized currency needs a decentralized community, and CoinConnect is a step (one of many that are necessary) in that right direction. CoinConnect is currently getting 100-200 hits per day and we are certain we can multiple that 10x or more. Our target customer is the Bitcoin business startup who needs exposure. Our target users are people all around the globe who want to find out more about and connect with Bitcoin, Bitcoin businesses and organizations. CoinConnect will provide a platform for Bitcoin business owners and enthusiasts to showcase their business, group, blog or just themselves. CoinConnect will showcase this Bitcoin community to the rest of the world and provide a familiar social networking medium for them to connect with it. CoinConnect once adopted publicly and on a large scale will begin to sell advertising space at competitive rates to Bitcoin businesses. The inaugural Bitcoin Mining Rig Builders Competition is a perfect example of the possibilities that CoinConnect holds. As stated before our revenue market is the Bitcoin business or organization that wants positive exposure to potential customers. We will offer many levels of advertising to the potential business customer. We have teamed up with graphic design firm BTCGFX.com and can offer banner / logo design and basic to premium placement on our site. We are also looking into other income sources. We have not hammered out all the details yet on pricing but will make this information available soon. Prices will start out very reasonable. Basic advertisement packages will start out at 1 BTC. We plan to promote CoinConnect on many different platforms including GoogleAdwords(c), Facebook(c), Twitter(c) and Operation Fabulous just to name a few. We truly believe that Bitcoin will one day be at the center of digital currency and we are very excited to be a part of it. Our most fundamental motivation is to help Bitcoin and all the great Bitcoin businesses to be successful. Thank you for your time and interest in CoinConnect. CoinConnect is owned by the same parent company GLBSE ticker BTCWEB. The shares have been traded on GLBSE since September 2011 with a current share price of 0.010BTC per share with a thirty day traded volume of 450 shares valued at 2.40BTC. Link to GLBSE charts for CC.